With over 30,000 employees, The Indiana State Personnel Department moved to brand a new health program aimed to help all state employees take charge of their health. 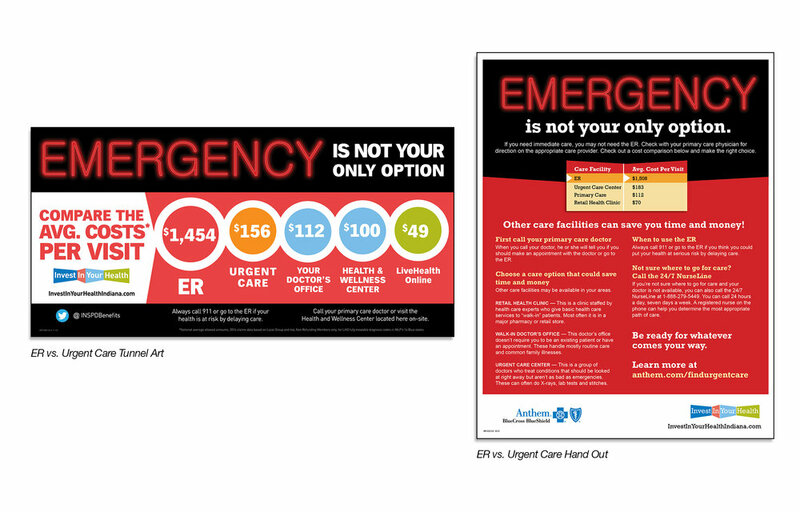 As the Indiana State Personnel Department moved from an antiquated and underutilized employment program for its 30,000 employees, it was critical to create a new brand that would capture the eyes, ears and hearts of every employee with messages that connect and lead to employee engagement. The goal was to persuade state personnel to be active participants in the betterment of their own health. A new health program name, “Invest In Your Health”, was created and strategically launched to all state employees. The new campaign encouraged all personnel to become advocates by investing in their own health. Healthcare is multi-faceted. Striving for good health may encompass doctor’s visits, regular checkups, screenings, medical information, smoking cessation, and exercise programs. The newly designed logo reflected a multi-dimensional image that reinforced the true meaning of “Invest In Your Health”. Communicating with 30,000 Indiana State employees is complex, but not impossible. Cabello developed a detailed strategic communications plan to connect with every employee throughout the state. 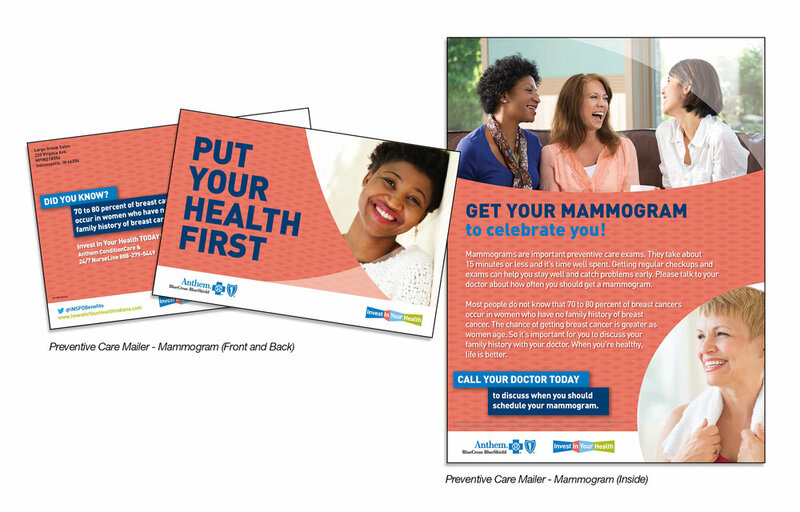 Direct mail, building signage, email blasts, screen savers, posters, calendars and other easy-to-use tools were developed to connect employees to new health program offerings that they had not previously enjoyed.